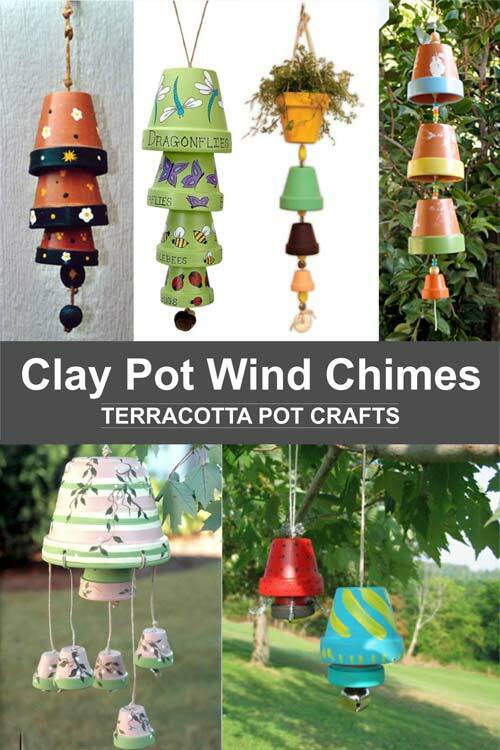 Today I am going to be sharing a wonderful collection of clay pot wind chimes. 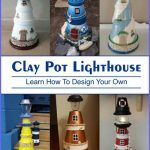 All of which have tutorials for you to follow. 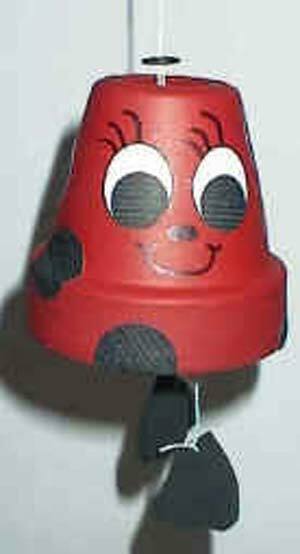 Personally, I am a great believer that wind chimes are one of the key essential things that should be present in and around the home. I feel that a set of wind chimes hanging outside my window when I sleep or by the side of the pool simply completes the area. 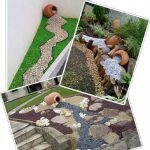 Their charming designs set the scene of an area and their relaxing clinks or clonks create a calming and relaxed feel. Followers of Feng Shui believe that the presence of windchimes brings good luck, enhancing and raising the vibrations around it and boosting good energy for you. Whether or not this is, in fact, correct, I have no idea. 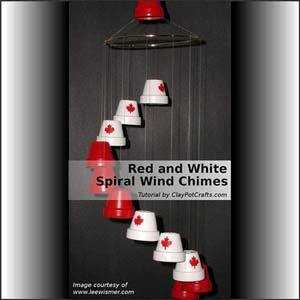 But I for one shall not tempt fate and I will hang my windchimes in a visible, audible area in an attempt to activate my good Chi. 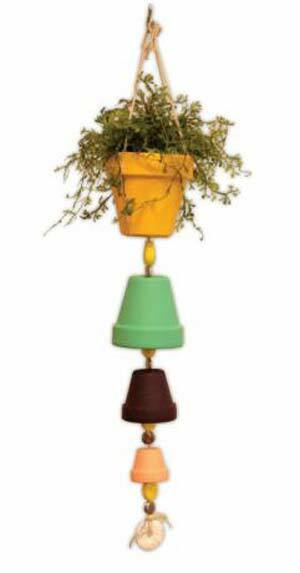 At the very least my wind chimes will enhance the ambiance of my room. 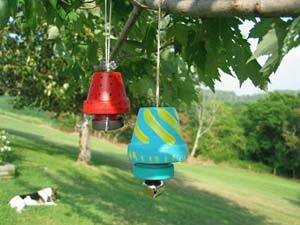 Wind chimes can be made from many materials from metal to wood, to seashells, each with their own individual sounds. 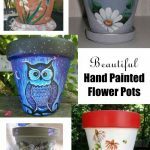 But for today at least I shall only be talking about tutorials for clay pot wind chimes, after all, clay pots are the purpose of my site. 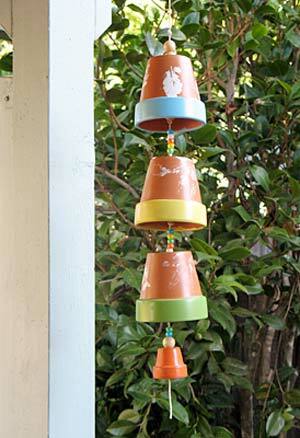 You can create your clay pot wind chimes in a myriad of colors, shapes sizes, and designs. 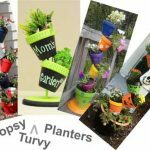 You can have seasonal wind chimes, wind chimes for special occasions, styles to set themes or styles to blend with nature to mention just a few. So with that in mind lets get to the tutorials. 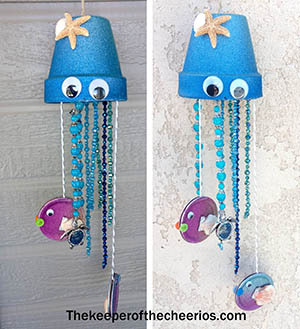 You could make these colorful clay pot wind chimes from Crafts Direct with just four different sized pots, some beads, string and acrylic paint. 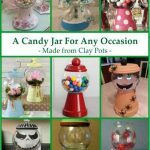 This little tutorial from Crafters Love Crafts is simple, basic and easy to do. 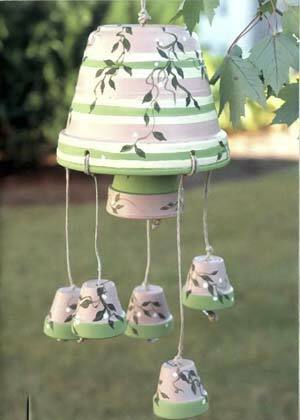 Hand-painted wind chimes. 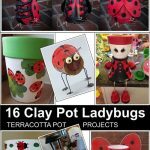 For more Ladybug tutorials click here.